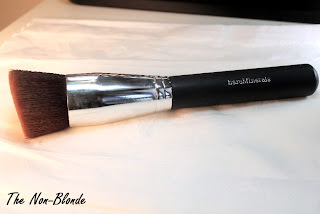 My BareMinerals Precision Face Brush is rarely ready for a closeup because it's in constant use and either drying or in a need of a wash. It's that good. 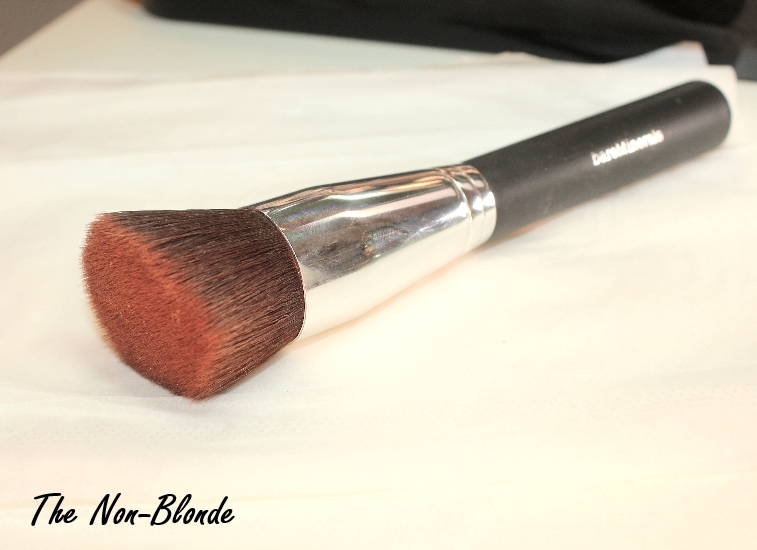 This BareMinerals foundation brush is 100% synthetic, cut on an angle so it works well with the contours of the face. It's a large brush, at least twice the size of Shiseido Perfect Foundation brush- so if you're looking for a larger version of Shiseido for a quicker application of liquid and cream foundations, this is your brush. There are some differences, though, most noticeable is that BareMinerals has more give, so be mindful when applying foundations that tend to streak. 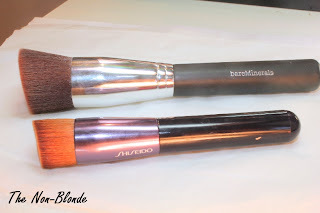 But other than that, I'd say that BareMinerals Precision Face Brush is a perfect sidekick for the small Shiseido brush. You may remember that Hakuhodo offers a bunch of brushes in a similar shape, such as G5556. 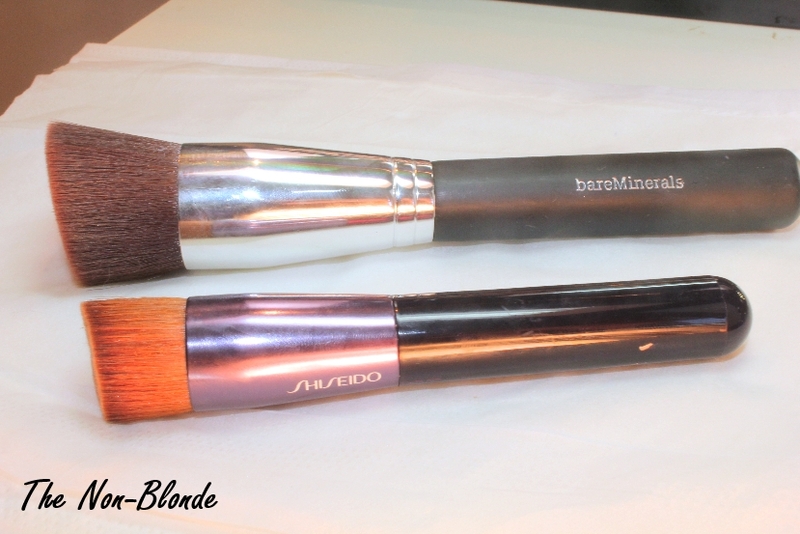 However, since these Hakuhodo brushes are duo-fiber (goat and synthetic) with a difference in length between the two types of hair, they are not comparable to this BareMineral Precision Brush. Personally, I think that the Hakuhodo ones are better because they're more versatile, but the difference in price is big enough to give BareMinerals some extra points. How to clean: Shiseido Face Oil cleanser does an excellent job even with the most stubborn foundations. 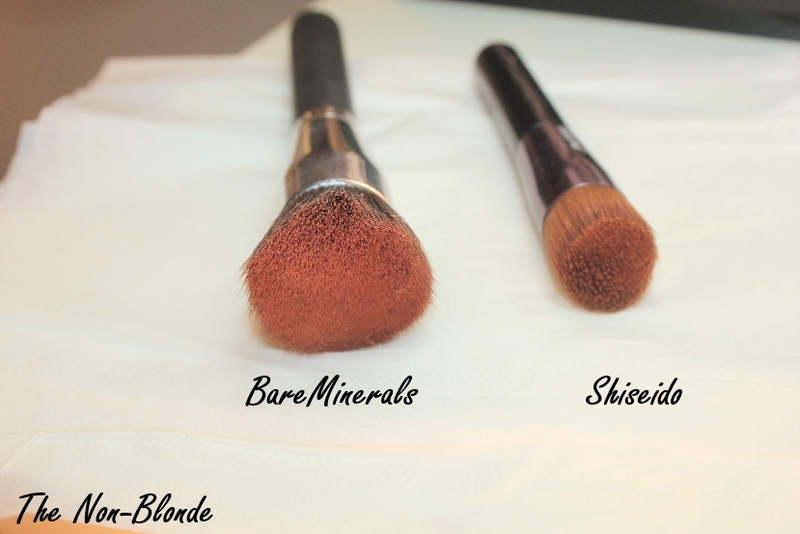 For more brush washing tips see this post. 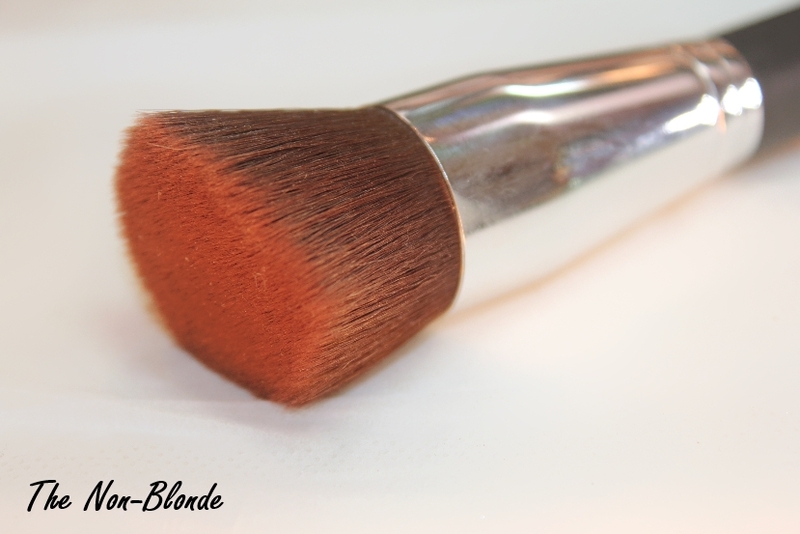 BareMinerals Precision Face Brush ($28) is available from Ulta, Sephora, and bareescentuals.com. So glad you like this brush, too! I brought one home last fall and was very pleasantly surprised by its usefulness. Also a very reasonable price. I guess BareMinerals must have improved their brushes since I bought mine a couple of years ago as a part of their mineral foundation kit. The powder brush is incredibly prone to shedding. This one looks realy nice though! I have a few BE brushes and am quite happy-very nice product, especially for the price!